Searching for Jolly Buoy Island Andaman? Wondering where to go for snorkelling? 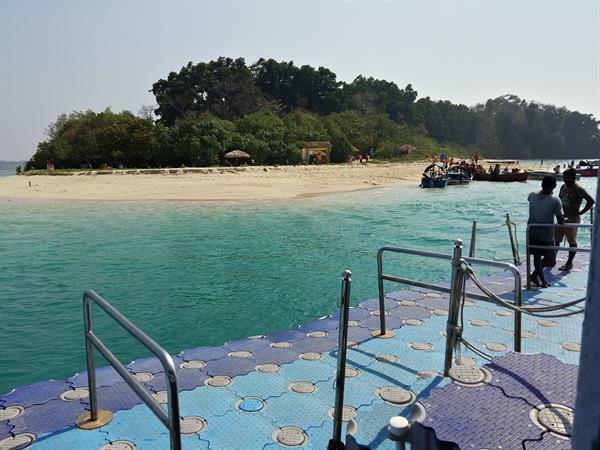 Right here, on this page read about Jolly Buoy Island Andaman which is a must see tourist beach attraction for snorkelling. A day trip is to Jolly Buoy island is just extraordinaire, unforgettable and will fill you with memories to be cherished forever. Read this article to know more about the Jolly Buoy Island Andaman, its location, how to reach, what to carry, what to do and nearby attractions. Searching for an extraordinary local attraction near Port Blair? Interested in making the best of your trip in the Andaman Islands? 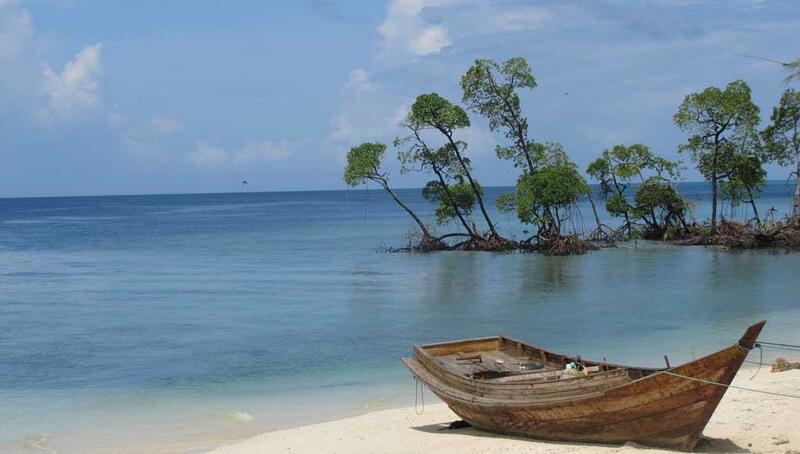 Then you must take a day trip Jolly Buoy Island Andaman. It is an unforgettable haven for beautiful marine life, awesome underwater corals, clear sand like silk and crystal clear waters. Read this article and enjoy a virtual trip to Jolly Buoy Island Andaman. Jolly Buoy and Red Skin are alternately open for six months. You can check with the A&N Tourism department or any local tour operator to plan the trip and to know which island is open. Know more about the Andaman and plan a Holidaythere. To visit the islands you need to get a permit and tickets from the tourism department. This can be done in two ways. One, the tourist operator or the hotel staff can arrange the permit and book the tickets for you. Photo id proof is required for availing the permit. Else you can stand in a queue at the tourism office, get the permit and purchase the ticket. This becomes difficult especially in the peak season so tourists across the islands. We went to the tourism office, filled a form, submitted photo id and got the permit. This will require an hour or so and has to be done the earlier day. Tourism office will not open till 9.30 am. Being a no man's land, all ferries take visitors to the islands between 10.30 am to 2.30 pm when the last boat returns to Wandoor beach. A government employee moves around the island with a jute sack and picks up all waste and thus keeping the islands clean. You can Jolly Buoy Island Andaman or Red Skin Islands from Wandoor beach which is about 30 Kms from Port Blair by road. You can rent a car or a taxi or an auto rickshaw or even take public transport to reach Wandoor. The Islands are one hour journey from this beach by ferry. There is more to see at Wandoor beach, none other than the Mahatma Gandhi National Park. More about this park, in the later sections. Once you reach Wandoor beach, you have to wait till 9 am when all the boats leave for the islands. Incidentally, all boats start together and even come back together. This is because the islands are a no man's land, not habitable. All those who visit the islands need to return back to their abodes by evening, no staying back on the islands! Most tour operators advise the tourists to start early by 7.30 or 8 am, so as not have any delays in the trip. The ferry gate opens only at 9 am. So you can move around this place, and make a queue. The islands are a no plastic zone. So avoid carrying any plastic bags. A little before 9 am you need to report at the counter and rent out required jute bags and water flasks for the family. The deposit of 100 rupees per item is refundable at the end of the day. In case you are carrying a plastic item, you need to pay 100 rupees refundable deposit for each item. You are also required to purchase tickets for still and video cameras. Enjoy coconuts and some snacks available with local vendors. Now get ready to take an awesome trip to Jolly Buoy Island Andaman or Red Skin Islands. Stand in a queue and wait for the ferry gate to be opened at 9 am. Once you get into the ferry, just sit back and relax. Wear your life jacket as instructed by the ferry staff. This journey is a memorable one for with a mix of the thick forest surrounding the clear blue sea. It takes about an hour and a half to reach the islands. Meanwhile, you will find several islands on both sides of the ferry. As the ferry moves ahead, you will cross some more islands till you see Jolly Buoy island in front of you and it indeed looks like the end of the world. Once the ferry nears the island, few ferry staff who are local divers come out to make some important announcements. These include information about their service offerings: short and long rounds of handheld snorkelling and short and long duration scuba dives, the duration and rates per head, photography charges and the time of departure from the island. 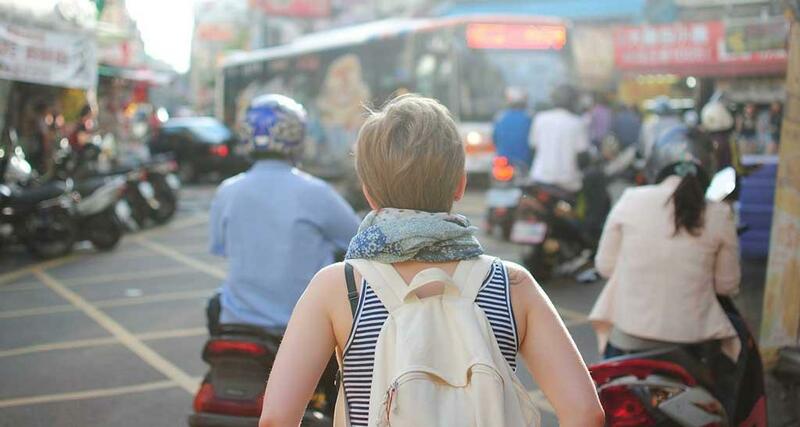 Most tourists decide what they want to do once they reach the island. It was my second trip, and I had decided that it would definitely be a long round of snorkelling. After a few minutes, the ferry stops at an artificial floating raft, where tourists are transferred to a glass bottomed small boats which take a round in the sea and drop you off at the beach. This is where your: out of the world, the extraordinaire experience begins! There are ample things to do in the islands ,but in or near the water. Snorkelling is a famous activity in Jolly Buoy Island Andaman. 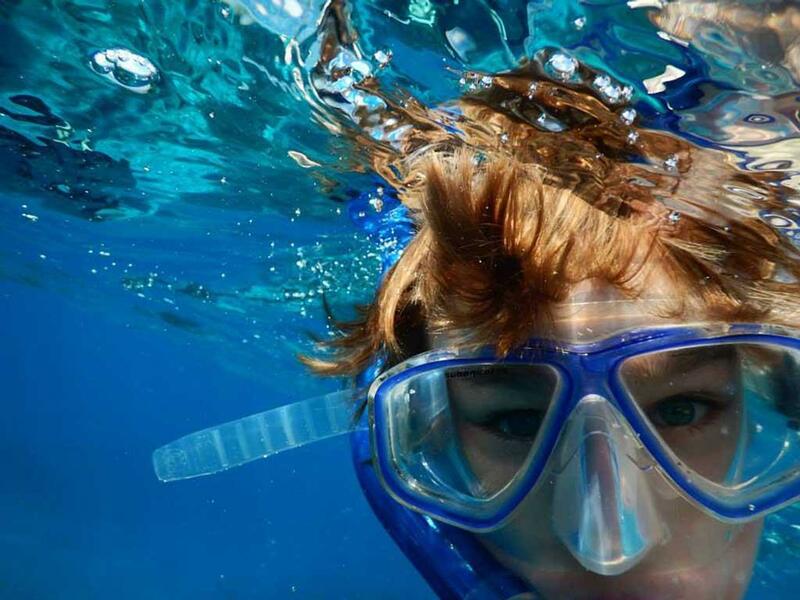 Another awesome way to take a long peek into the way the life under the sea exists is to snorkel. Once of the most beautiful places in the world is Jolly Buoy islands. You need not know swimming to do snorkelling.You can carry your own snorkel, don it and have a wonderful time in the water. If you know swimming you can go a little far, but sometimes and at some places the currents are strong, so beware. Listen to the local divers and heed their instructions carefully. Ask the diver to take you on a long underwater swim. Get comfortable with a snorkel, put on the ring float and walk into the water. The levels will start rising, as you walk deeper, you will float and put your head into the water. No worry, the snorkel will allow you to breathe with your mouth. Now you will be able to see the seabed clearly. Do not move your sight away from the seabed. Gradually your eyes will get accustomed to the underground ripples and marine flora and fauna will catch your attention. Soon enough the diver will pull your hand and drag you to more wondrous and picturesque locations, further away. You will be amazed to see red, blue, and sponge corals, various fish like starfish, nemo, tiger fish etc. Snorkelling is a beautiful opportunity to swim with the corals and the fish. The underwater experience is worth a lifetime. I can still vividly remember swimming among the colourful fauna around me even today. The colours of the fauna and the pristine blue waters are etched in my heart forever. Short rounds are charged at 200 and the long ones at around 500 rupees each. Take the one which suits your pocket. Scuba diving is another famous activity in Jolly Buoy Island Andaman. In case you want to go deeper underwater, Talk to the divers and they will take you for scuba diving. No doubt the diving gear is far costlier than snorkelling, even the dive charges are in the range of a few thousand. If it suits you, join the divers, go into the sea and enjoy the underwater marine flora and fauna. The divers will give you some initial training and then take you for a dive. The view underneath is just awesome among the marine life and let them breeze past you at their own pace. This experience will become an unforgettable memory for you. There are a couple of coconut leaves based sheds and makeshift wooden trunk benches. You can rest there or relax in the open air on the beach with the white sand at your feet. The sun may be a little hot on the body, use a sun block, else you will get tanned. Lie down on the beach and take a cap over your head and as far as you look into the waters, the blue serene sea stretches in front of you. Far away you can see a green dark dot of islands. The entire area is protected by the forest department. Do not touch corals or bring back any corals or shells with you. You may land up in trouble with the police. Since Jolly Buoy Island Andaman is declared a No Plastic zone, pick up all your waste and carry it back with you to Wandoor and dispose of it there. The ferry staff will call you to return to the small boats which will carry you to the ferry to return to Wandoor. Also, bring back extraordinaire memories with you which you can cherish forever. About half a km away from the Wandoor jetty is Wandoor beach. After the trip to Jolly Buoy Island Andaman, visit the beach and enjoy the lovely view of the Bay of Bengal. If you have some extra time at hand, watch the lovely yellow, orange, pink and blue hues of the sunset. This is another cherishable memory which will be etched in your hearts forever. It happened for me, I can see the picturesque sunset right in front of me even today. For more information you can read about Port Blairhere. Also take a local visit to Corbyn Cove . The Adventure sports in Andamans are worth the money spent in enjoying them. To sum up, gear up for a trip to the Andamans and it will not be complete with visiting the pristine and serene Jolly Buoy Island Andaman and becoming an extraordinaire experience. I recently visited the Andaman Islands for two weeks. Jolly Buoy Island in Andaman is a must visit destination. Snorkelling and glass bottom boat ride was an awesome experience.